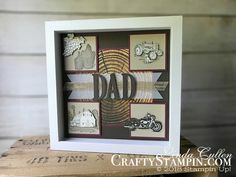 Everyone needs to feel that they are loved and very simple way to do that is to send a handmade card informing them of it. 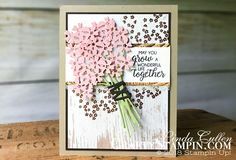 This lovely card uses the Stampin’ Up! Forever Lovely Stamp Set for this wonderful greeting stamped on the label from the Stitched Labels Framelits. The beautiful background paper is the All My Love Designer Series Paper.